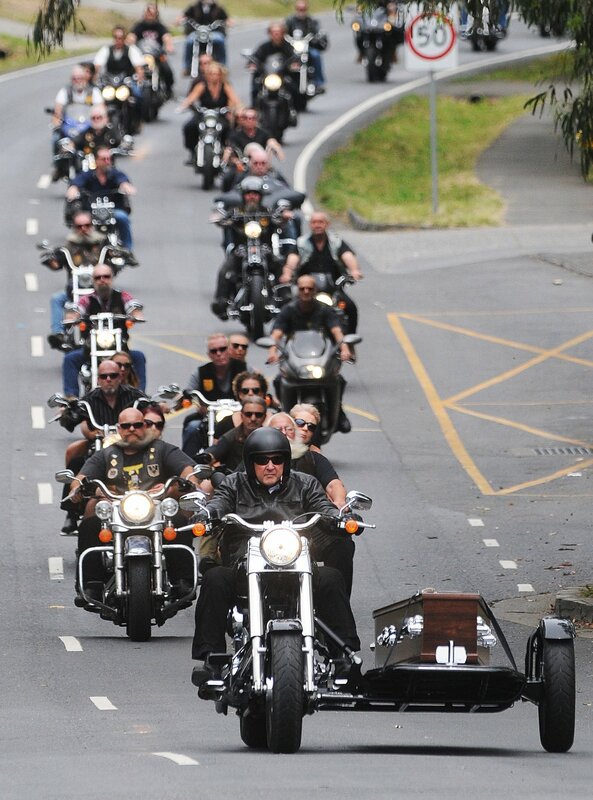 One of Warrandyte’s favourite sons was honoured with a fabulous motorcycle funeral procession that roared through the township on Tuesday 13th of December. 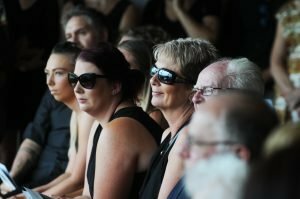 Mark ‘Benschy” Bensch’s coffin was aboard a motorcycle hearse as it led a cortège of over forty motorcycles through the village after a touching memorial service at the local footy club. The footy club wasn’t big enough to hold the crowd of over 600 people and the crowd spilled out on both sides of the clubrooms. 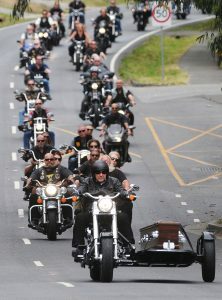 Locals mixed with Mark’s biker mates as his family and friends paid tribute to a life well lived. Mark was killed as he rode his beloved motorcycle from Springvale Road onto the Eastern Freeway last week. He died at the scene. It was stated that Mark died doing the thing that he loved and no one at the service disagreed with that observation. Mark was the third son of Howard and Joyce Bensch. His brother Gary has already passed on and a touching tribute by Mark’s only surviving brother Ian was read to the attendees. Mark’s four daughters Jessica, Carly, Sarah and Hannah all spoke proudly of their father and he would have been proud of them too. 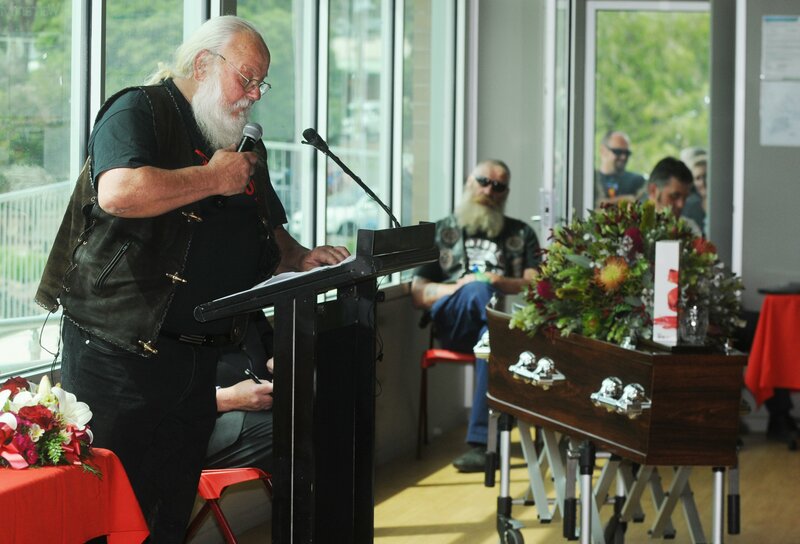 Mark’s motorcycle club mate Neil Carter kept the crowd in stitches as he recounted some of Mark’s cheeky adventures. The service music was a soundtrack from the times as some of Mark’s favourite tracks were played, featuring Led Zeppelin, Crosby Stills and Nash and The Doors. People were saddened that Mark was taken early but there was laughter and friendship in the air as people gathered to honor Mark for drinks and food at the R.S.L. Clubrooms. And Mark’s last ride through the township, well, that was nothing short of spectacular. Benschy would have loved it!